The White House is reportedly considering the creation of a private global spy network to help combat “‘deep state’ enemies who want to undermine Donald Trump‘s presidency. 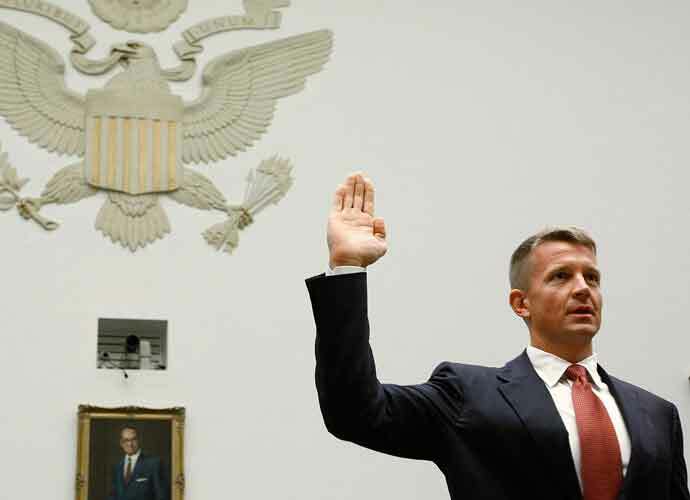 According to a report from The Intercept, the proposals were developed by Blackwater founder Erik Prince along with retired CIA officer John Maguire, and Oliver North, who played a role in the Iran-Contra affair. North was apparently brought in on the proposal to help sell the idea to the current administration. Spies in this network would be off the books, so would not have to report to any official U.S. intelligence agencies. Instead, they would report directly to CIA director Mike Pompeo, who reportedly does not trust the bureaucracy of the CIA. While White House officials claim that this proposal is fake and that Trump would never take part in such a network, the president has brought up the “deep state” repeatedly in his term. He has insisted that there are political officials who are out to get him and destroy his presidency. The army of spies would send people undercover to various countries worldwide to uncover intelligence that normally would not make it to the White House. The countries would include North Korea and Iran, both of which are currently “denied areas” for U.S. intelligence officers. The reports say that senior officials, including Vice President Mike Pence, have been brief on the subject, and that Pompeo has “embraced” the plan. The Intercept claims that meetings have already taken place at a Trump Hotel. Prince and Maguire have denied that they are working together, though a source shared with The Intercept that “there is no doubt that Prince and Maguire were working together.” Another source claims that Maguire was worried about intelligence operatives who joined the force under the Obama administration, and that they might be withholding information from Trump.